It’s been on the cards for a while, and now it is finally here. Introducing “Uber for motorcycle taxis” in Africa. Yes, Uber has finally introduced a ride-hailing service for motorbike taxis — locally called “boda bodas” — in Uganda. Uber has company, however, in the form of rival Taxify, which has rolled out its own boda boda service in Kampala, with both apps going head-to-head with local alternative SafeBoda. Uber, meanwhile, is appealing the ban on its services in Egypt and has expanded its UberEATS service to a host of new African countries. In other major global company news in Africa, music streaming service Spotify finally became available in South Africa, with other African launches expected to be forthcoming. African governments are slowly catching up when it comes to regulating the continent’s burgeoning tech space. A month after forming a “blockchain taskforce,” the Kenyan government has finally introduced legislation for the purchasing and usage of drones. The Zimbabwean government, through regulator POTRAZ, is also in the process of catching up, in March finally finishing drafting a rulebook for mobile virtual network operators (MVNOs). Elsewhere, Mastercard is piloting a Facebook Messenger chatbot for small businesses in Nigeria, Kenyan payments company BitPesa has expanded to Ghana, and South African e-health company hearX has launched a hearing screening app in the US. African tech startups proved popular with international accelerators, with 12 selected for Google’s first Africa-focused Launchpad accelerator, and another 12 chosen for the fintech accelerator run by Village Capital and PayPal. Meanwhile, Nigerian payments startup Paystack signed a partnership with Truecaller. Solar providers that allow users to pay as they consume via mobile technology proved attractive during March, with pan-African company BBOXX raising funding via a crowdfunding campaign. 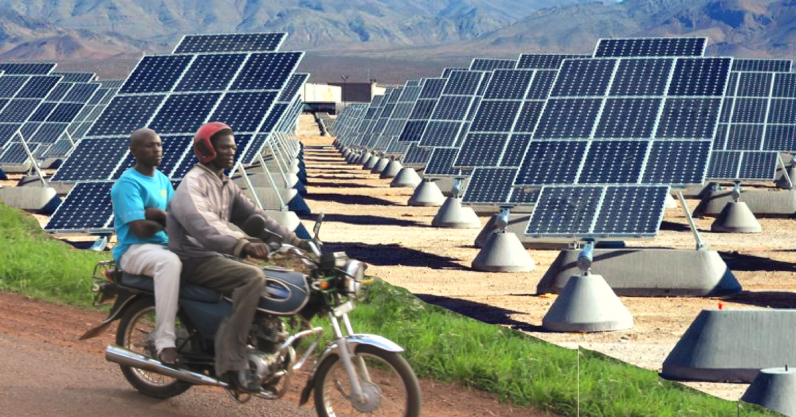 Kenyan companies M-KOPA Solar and Pawame also secured investment. Also on the fundraising trail during March was financial services company Branch, which raised a US$70 million Series B round. There was also funding for South African machine learning startup DataProphet, Nigerian househunting service myPadi, and South African vehicle purchase platform HiCarByeCar, while six Zimbabwean startups got government grant funding. Another 1,250 startups got grant funding from the Tony Elumelu Foundation, while South African Wi-Fi monitoring startup Cape was acquired by Hewlett Packard. New sources of investment are also springing up for tech startups in Africa. SaaS-focused fund Getihu launched in Cape Town, backing HR startup Hi5. The African Development Bank (AfDB) provided US$30 million for a Rwanda Innovation Fund, an angel investment network launched in Uganda, and Kenya’s A24 Media launched a $1 million USD tech investment fund.